We’re big fans of cutting the cord. The average cable bill is $110 per month, and with the number of streaming options available today there is no sense to waste that amount of money. One of the more popular streaming options is DirecTV Now. Ironically enough, DirecTV Now is a service provided by the satellite giant DirecTV. The traditional DirecTV platform does require a contract, but DirecTV is a contract free way to get much of your content at a significantly lower cost. If you want to cut the cord and looking for a replacement, our DirecTV Now review shows what you can expect with the platform. DirecTV Now is an online streaming service provided by DirecTV. They’re both now a subsidiary of AT&T, so you may see promotions offering bundled services combining DirecTV Now with a service from AT&T. DirecTV Now was launched in 2016. The streaming provider lets you get cable content without needing a satellite dish and is contract free. This means you can cancel at any time you wish without fear of a cancellation fee. You can watch DirecTV Now on virtually any device, including TVs and online – I’ll cover this later in the post. I’ve tested the DirecTV Now several times and there is a lot to like about the platform. No streaming provider is perfect, so important to keep that in mind as you consider what platform to select. Since we canceled DirecTV three years ago, we’ve loved the extra $90 in our budget each month. 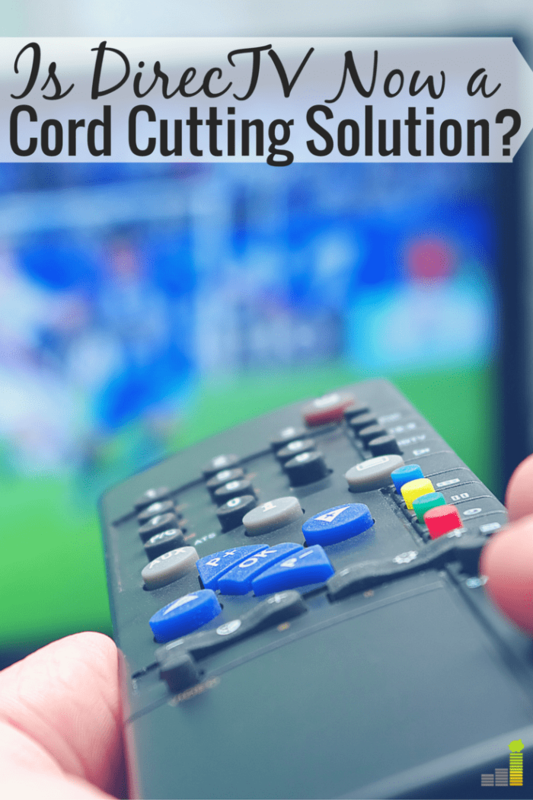 We’ve tried a number of cord cutting options but have said “No” to most, if not all, of the options we’ve tried as it’s just not worth the cost. The first thing we look at when considering a new option is cost and if we’ll receive value from it. The platform offers four other packages which I detail later in the post. DirecTV Now does offer a free seven-day trial to let you try out the service. I like the flexibility offered by having four plans. However, if you choose either of the top tier packages you give up a significant amount of the savings from cutting the cord. 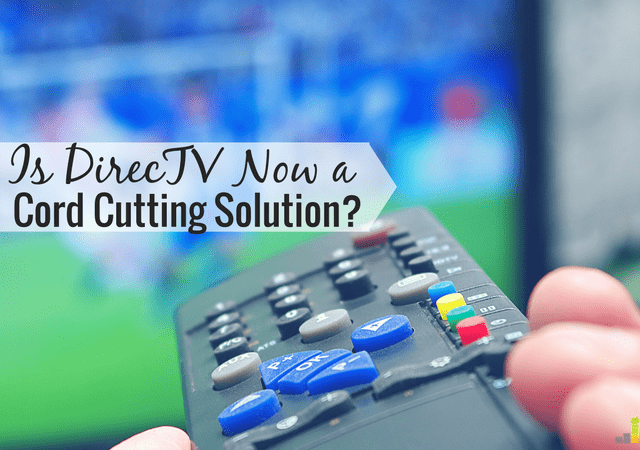 How Can I Stream DirecTV Now? One nice thing about DirecTV Now is you don’t need to have them install some nasty satellite dish or box. You simply sign up through the DirecTV Now site or through your smart TV. All you need to enjoy DirecTV Now is an Internet connection and a device to access the platform. As you can see, there are plenty of options to stream DirecTV Now, both at home and on the go. I will also add that you can stream DirecTV Now on two devices at the same time. I tested the platform on Google Chrome, Safari and our Fire TV and Stick and all worked great. I was able to watch two programs at once, and when I started a third viewing option, I was instantly kicked out of one of the other viewing platforms. One of the most important features of a streaming service is its channel lineup and how much you must pay to receive those channels. Nearly as important is how much it costs to upgrade the service. DirecTV Now offers a decent range of channels. I particularly like that you can get channels like ESPN and CNN in the base package, plus some other popular channels. As you can see, there is plenty for everyone to like in each of the four DirecTV Now packages. You can upgrade to add additional sports options, which is an important consideration for many. Just keep in mind it will eat into the savings from cutting the cord. Each of the are cheaper than what you will find at Sling TV. We pay $15 per month for the standalone HBO Now service, so there is value in the premium offerings with DirecTV Now. Sling TV is one of the other major players in the streaming space; in fact, it was one of the first. In light of that, it’s important to compare DirecTV Now vs. Sling TV if you’re looking to cut the cord. Cost is pretty much equal when you take the add-ons at Sling TV into consideration. Both offer limited access to local channels, with Sling TV offering it in a bit more locations. Sling TV offers one device streaming with basic packages, or three at the higher tiers; DirecTV Now offers two with all packages. Sling TV offers parental controls; DirecTV Now does not. Both Sling TV and DirecTV Now have no contract requirements and can be canceled at any time. Sling TV has had buffering issues in the past, but has improved a lot over the past year – here’s our Sling TV review for a full breakdown of their service. DirecTV Now, on the other hand, has good from good at the beginning to having more buffering issues. Taking a look at DirecTV Now vs Sling TV, Sling TV wins the comparison in my opinion. Another great option to consider is Hulu with Live TV. Hulu Live offers 60+ channels for just $44.99 per month, with no contract. Most every streaming platform offers a free 7-day trial to test their service. DirecTV Now is no different. DirecTV Now also regularly offers promotions for free devices. A common DirecTV Now promotion is a free Roku device when you sign up for service. Promotions frequently change, so keep that in mind when signing up for service. The channels load relatively fast. Whenever you change a channel on DirecTV Now it takes about 1-2 seconds to change. Compared to Sling TV that is pretty fast; I didn’t feel like I was waiting for channels to change. They have a simple to use guide. This is another feature somewhat lacking in Sling TV that DirecTV Now improves upon. As you can see in the picture below, they list out the channels. If you want to watch something, you simply click on it. If you want to see what’s on later, you click the arrow buttons in the upper right-hand corner of the screen. You can also find out what’s on one specific channel by simply clicking its icon on the far left of the screen. You can create your own guide. If you look at the above picture, you’ll see a heart symbol to the left of each channel. When you click on that symbol, it goes to a “Favorites” guide you can use instead of scrolling through 60, 80 or 100+ channels. This is great, I loved it, if there’s only a handful of channels you like to watch. There’s no contract. This is a huge plus in favor of DirecTV Now as you can cancel at any time. New cloud-based DVR. DirecTV Now recently added a beta version of a cloud-based DVR. We’ve not had a chance to test it out, but the DVR is available for Android, Apple TV, Amazon Fire TV (second generation), Chromecast, and Safari and Chrome web browsers. The one drawback is it only allows you to record and store up to 20 hours of content. You can also store shows for 30 days. It is possible to upgrade to get 100 hours per month, but it costs $10 per month. You can watch and search at the same time. If you like to scroll through channels, you don’t need to get out of what you’re watching to find something else. The guide simply overlays what you’re currently watching so you can still watch and listen to the program. The platform is smart. When you turn off the DirecTV Now platform, it saves the channel you were watching. So, when you turn the platform back on it goes right back to that channel. Sling, on the other hand, starts you back at the beginning. Searching is relatively simple. DirecTV Now currently offers several dozen on demand movies you can watch. They’re categorized, sort of Netflix-style, making it relatively simple to find a movie. The cost. The average cable bill is $110 per month. As ridiculous as that is (and it really is), you want to be careful what cord-cutting options you choose as they can quickly add up. At $50 per month right out of the gate, DirecTV Now is no different. They’re on the more expensive end, relative to other streaming providers, but if you throw in any other services like Netflix or Hulu that only adds to the cost – getting you close to the average cable bill and defeating the purpose of cutting the cord. If you go with the highest cost service, you put yourself back in the same situation. This really isn’t specific to DirecTV Now as the other major streaming platforms offer similar pricey upgrades. You likely still can’t watch local channels live. Several platforms fall short on this and DirecTV Now is no different. The only way you can watch local TV without cable is if they’re run directly by the network. However, if they’re run by an affiliate, and a lot are, you’re out of luck – as was I here in Omaha. In that case, you have to wait a day to watch your shows like with Hulu. If that’s important to you, do yourself a favor and spend $6 per month on Hulu and save your money. You can also buy a Mohu Leaf antenna to get locals, which is what we use. The platform doesn’t let you know when the next episode is on. This is specifically for a series. While the guide is really helpful, they don’t let you know when the next episode is on – so you must know or you’ll be out of luck. Limited pause, rewind and fast-forward options. I was able to pause a number of different live channels, but could not rewind. I tried the same on a number of movies and could do some pausing, rewinding or fast-forwarding but it was very limited. They do warn you that it’s limited when watching something on demand. No access to NFL Sunday Ticket or Red Zone. I’m imagining they may add this in the future, but it’s going to come at a cost. If access to either of those options is important to you, you’ll again be out of luck with DirecTV Now. You won’t be able to access football on local channels. This could be another biggie for many people. Thanks to the local channels restrictions, it’s very likely you won’t be able to watch football and other sports on local channels. You’ll see this with other major players, so it’s not really specific to DirecTV Now. What speed do you need to watch DirecTV Now? DirecTV Now is a streaming provider, so you do need Internet access to get the platform. DirecTV Now recommends a speed of 2.5 to 7.5 Mbps to stream content. Do you have to have AT&T to get DirecTV Now? No. While AT&T would love for you to get a variety of services through them, it’s not required to sign up for DirecTV Now. Is DirecTV Now better than DirecTV? They are two separate platforms. If you prefer a cheaper service with no contract, DirecTV Now is better than DirecTV. Do you get DirecTV Now if you have DirecTV? No. They’re two different, standalone services. You also would not need both at the same time. Is DirecTV Now free with AT&T? No. AT&T does run deals offering DirecTV Now at a discount, depending on the services you have. It is typically not offered for free by AT&T. I love seeing another player in the streaming space as that gives us additional options to ridiculous, high-priced cable contracts. We’ll only continue to see growth in the space that will force new products and a better overall service. I love a lot of what DirecTV Now has going for it but we ultimately decided not to keep it as we couldn’t justify the cost. Yes, $50 is relatively cheap for the channels they provide, but you won’t get local channels as a part of that cost. In all fairness, you will find that drawback with numerous other cord cutting options. Amazon Fire TV Stick – $39.99 one-time cost which gets you access to content on Amazon plus a wide variety of different free apps. Amazon Fire TV – $69.99 one-time cost, this is the same basic thing as the Fire TV Stick but is a small, set-top box with additional features. Amazon Fire TV Recast – $229 one-time cost. This is a set top box DVR that allows you to record over-the-air TV with your Fire TV. Mohu Leaf 50 antenna– varies in price, but is currently $69.95 and works great to get all your local channels. There are many other digital antennas you can use, here’s a list of the best ones on Amazon. Roku Streaming Stick – varies in price and works much like the Amazon Fire TV Stick. There are many other options available to help you save money on cutting the cord; these are just some of the few we own or have tried. As you can see, you can get much of what you want for a lower monthly cost, or a relatively small one-time cost that still allows you to shed that high monthly cost of contract cable or satellite TV. What are your thoughts on DirecTV Now? What streaming services have you tried to save money? Do you still have cable, why or why not? Good overview, John, and timely as my wife and I are looking to put together our “cord cutter package” and see what is out there. I was considering Sling TV but I’m struggling to see how it’s any better than DirectTV Now. Also, at the end of your article you pose the Mohu Leaf, Fire TV stick, and even Roku as an alternative to DirectTV Now. I think the Mohu Leaf could be called an alternative, but at the same time it offers something different imo – local channels. So more of an add-on with no monthly costs for streaming local TV. I also think of the Roku, Amazon Fire, etc. as not exactly competitors to DirectTV Now but hardware or a platform for streaming options. I’m still undecided about what direction to go, but I absolutely love that there are options with no monthly contract. As of today I’m leaning towards DirectTV Now, Netflix, and local TV. Take a look at Playstation Vue. It includes local channels in some markets. I’ve read that as well TJ. I believe it’s not the case in all markets…curious as to what the restrictions are for locals. I’d bet good money on owned and operated affiliates. What I mean is, if Playstation VUE has an agreement with Disney for ESPN, Disney Channel etc, they probably included the local ABC affiliates, which would be New York, Los Angeles and a few others. I assume DirecTV will eventually follow that model as well. Assuming that Directv now will be available on Roku in 1st qtr of 2017 I would definitely choose Roku over Amazon Fire Stick. I have both and Roku is so much easier and better to use. There is no comparison to the remotes as Roku is great and Fire Stick is confusing! I’ve not used the Roku, but I’d disagree with your assessment of the Fire Stick. I think it’s very straightforward and easy to use. But, you gotta go with what you prefer. Thanks DC. If you’re looking at Sling vs. DirecTV Now I’d say the latter is far better – especially when you don’t take cost into consideration. Good point on the Mohu. I would agree that the others aren’t really competitors in the true sense of the word, but I believe any of them could take care of much what someone may be looking for in a Sling/DirecTV Now package – and getting you out of that monthly cost. Don’t do it. We cut the cord and went with direct tv now and it has been a nightmare. They simply have not figured this out yet. Give it a couple of months to see if they fix their many problems. 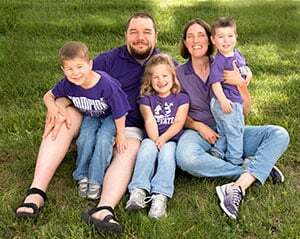 We did this on the advice of our son, but regret cutting the cord. Sorry to hear that Tony. We’ve had a relatively great experience in the times we’ve used their free trials. The savings from cutting the cord can be substantial, so sorry to hear about your frustrations. I currently use PSvue with a Roku 4 and it is great have very few issues. The “my shows” DVR is simple to use. Tag the show and it will capture the last month worth of the show and new episodes will be available 2 minutes after they air. My biggest complaint is there is no on screen guide while watching a show nor does it let you know when new episodes of your shows are available until you select the show on the my shows tabs. I do believe directv now has a better mix of channels, so I may try the 7 days to see if it is a viable option. The local channels/DVR debate can easily be resolved with a Tablo networked DVR (199.99 to 299.99) and A QUALITY DAS antenna mounted in the Attic, the Leaf is far from quality if you need to pull in a signal 20+ miles away. I bought mine from DAS Antennas Direct. Tablo service is 5 dollars a month and this includes remote access thru port fowarding on your router on every imaginable platform ios, android, web, samsung smart tv, lg etc… Allows unlimited streams. I haven’t had cable Tv for years. Relied only on my over the air antenna. Now for $35 a month and a free apple Tv 4, WOW a big leap forward for me. Also, Apowersoft has a screen recorder program for download that’s currently a one time cost of $19.95 with coupon available on their web site. I record Directv Now programing almost everyday. That gives me the option to skip commercials. Lovin’ this new set-up. Nice work on the recorder program! I did like the service overall, just not willing to pony up near $40/month for it personally. Can you schedule recordings? The Apowersoft Pro software has a scheduler but I am not sure if you can schedule DirecTV Now showings. That’s a good question Michael, I don’t use that program so not certain if you can schedule recordings. I can’t get an antenna to work at my home but once I do I am definitely cutting the cord. Unfortunately I still like watching the local networks, especially watching football on the weekends. So once a company can break through on the local channels and even better with a DVR I will be cutting the cord officially. Does Directv Now allow “tv anywhere” support? That is, can I used my login with WatchESPN, HGTV and other networks? Sling only supports ESPN while PS-Vue supports most apps. Great question RT. From what I’ve read they’re offering support to some – WatchESPN, HBO Now and a few others but that it’s not all – but they are looking into adding more so it might be a touch & go situation. There are only a few networks that my Direct TV Now login allows me to access directly. Unfortunately Direct TV Now isn’t mainstream enough to be on all of them. I disagree about Directv Now at $35 not being an especially good value. I haven’t had cable TV for 7 years now. I use an outdoor antenna and a TiVo Roamio OTA DVR ($350 one time cost (discounted) with no monthly fees to record over the air programming from the 50 channels I receive (broadcast networks, PBS, and sub-channels like Me TV. But I did decide to sign up for the 3 months prepaid deal at $35/month Directv Now and got the Apple TV 4 (a $149 value for free). Between having local channels via antenna and over 100 cable channels from Directv. Now I have roughly the equivalent of a cable subscription that could easily cost over $100 per month for only $35. If Directv can add DVR functionality next year as predicted, and add Roku devices I think they have a winner on their hands. I would agree that at the full value of $60 per month the value becomes more questionable and probably wouldn’t interest me. But for now I’m pretty impressed and may decide to keep the service after the 3 months I have prepaid. Glad you’ve found something to work for you Ben. In some circumstances, I’d cede your point. Here’s the problem though – at the base plan you’re at nearly $40 with taxes. If someone has that and they add in Netflix, Hulu or anything else they’re going to quickly eat into the savings and can conceivably end up with a savings of only $20-30/month. It’s my opinion that many could simply use Hulu/Netflix and get an antenna for locals – coming out to $20/month and a one-time charge for the antenna. I do think adding a DVR & Roku capability will give it a good edge, but I doubt the DVR capability will come for free. I do have Netflix but I split the cost with my son, so my total cost with DTVN and Netflix including taxes is $42 per month. Cable in my area with all fees is well over $100 (non-promo price) and I’d likely still keep the Netflix. So I’m saving over $60 per month and all total I have about 150 channels and pretty close to the same channel package as I would with cable. With my TiVo whole home system we have full DVR funtionality on 5 TVs in the house. That would mean additional outlet fees from cable meaning I’m saving even more. So for me I consider it a tremendous value. Glad to hear you’ve found value in it Ben. My larger point is that starting at $35, it could mean little in savings – especially if people get higher tiered packages that eat up any savings you get from cutting the cord. If you do your due diligence, like you did, then it’s fine if you manage to keep the costs low. However, for my family, it’s not a value as we only watch a small handful of channels and I think many are in that same position. If you use ATT for your wireless provider and have choice unlimited, they give you a $25 credit each month on DTVN. That makes it only $10 a month. At that point, there is no decision to make. You sign up. I understand that Wes, but that’s also assuming AT&T is the only/cheapest option for Internet service. If it’s not, then it doesn’t necessarily make it an open & shut case. I don’t think using a Netflix subscription is a fair comparison. A lot of what Netflix offers is useful whether you have cable or not. I had ATT Uverse for years but also had Netflix for some of their original programs and kids movies. This has almost become a normal cost of entertainment. You shouldn’t need Hulu with Direct TV Now since you can stream their network shows since they don’t allow you to watch them live. Moving to Direct TV Now with an Apple TV and adding an attenna with an HDHomeRun receiver and streaming it to a Channels app on my Apple Tv, I can have all my local channels and cable(ish) type channels on one device without switching inputs. Sure there is no DVR option, but since most of the networks offer an on demand option it almost isn’t necessary unless you want to record a sporting event. You’re actually helping me make my point Jeromy. 🙂 Netflix has become more robust with the original content, deal with Disney bringing more stuff in, etc. that I believe it’s possible to use just that and something like Hulu to get most content. Going that route helps save more money, especially if you don’t mind watching shows you can’t catch on a local channel the next day. You also have to include cost of your ISP. How much is that cost/month? Have had DirecTV Now for 2 weeks. Works fine, we have the $35 promo Go Big package. We cut the cable cord for TV 6 yrs ago. We pay for 200mb/sec internet and have 2 antennas in our attic which gives us over 35 OTA local channels. Wife had to retire a few months ago for medical reasons and I was looking to provide her with more viewing options during the day. Yeah we could have gone back to cable tv but that would have dropped us to a lower internet speed tier to keep what we wanted to pay per month. So now for a total cost of $110/mo we have fast internet and roughly 135 channels of DTVNow & OTA. For our situation DirecTV Now works. If the price shoots up in the future who knows if we’ll keep it. Glad to hear it works for your needs and helps you avoid getting roped into a contract – that can be tough to turn down. Anyone looking to use DirecTV Now should be aware that an overwhelming number of people are having continuous buffering, login, and other issues associated with the service. IMHO, the service was rolled out long before it was completely ready. There are an astounding number of channels available for the $35. The lack of the other DVR and other features are mostly a problem for those whose cable or satellite is they long-running standard. If one was already a “cord-cutter,” DirecTV Now held out the promise of a larger number of channel choices, without worrying so much about the “bells and whistles.” However, that is all moot. The service works fairly well on mobile devices. For those using Amazon Fire devices, Apple TV, or Chromecast, the problems are nonstop. The “Apps” on those devices were clearly not well-tested prior to the launch of the service. AT&T is going down the toilet unless they can do something to solve those issues quickly. I have been searching the Internet and found thousands of complaints about the service, which is a little over a couple weeks old. Heads should roll at AT&T, because this will likely end up costing them a lot of money on wasted R&D, if this thing continues in the same direction and tanks. Unless they fix this short-circuited service, it WILL tank. It is shameful that they rushed to launch before the service was ready. It says a lot about how much AT&T cares about its customers. Apparently, they don’t. Very interesting to hear JP. I’ve not had any of those issues myself, it worked great for me. That being said, it wouldn’t surprise me to know that many of these issues exist for a chunk of users. I’d also agree that AT&T doesn’t seem to care about its customers – it’s been that way for too long in my opinion. JP, we got DirecTV Now the day after it launched. We have not had any buffering or login issues. I wonder if it has to do with the speed of the user’s internet service? Ours is cable internet from Brighthouse/Spectrum and it’s 60 whatever, lol. What we did have an issue with, that inexplicably started several weeks into the service, was a problem with the video and sound not being synced. The video lagged. It drove us nuts for awhile, especially since it had been fine at first. We tried deleting and re-installing the app and a number of things chat on DTV had us do (clear the cache on the Fire TV and other things). We use an Amazon Fire TV device in the living room (where the issue was) and a Fire stick in the bedroom (which was fine). What finally worked… wait for it… was to reboot the Amazon Fire TV! We were convinced that it was the DTV app or service because every other app seemed to be fine. It wasn’t them at all. All to explain, I think there are a number of factors involved in a streaming service. DTV Now DTV Now may well be having issues, but in all fairness, they’re only part of the equation. We were frustrated at the time, but overall, we have really enjoyed the service and love the UI. Directv now did not work for me. I tried on many devices and tested on many broadband connnections with speeds consistently ranging from 20-100 Mbps. Used my iPad Air 2 and Apple TV and had many problems with audio continuing to play and video freezing. Content not available in the on demand section. I signed up at the beginning but now ended it and going back to regular cable. I disliked the remote on Apple TV. I would go to pick up the remote and if I didn’t pick up the remote a certain way it would change channels. I found it clunky and unresponsive. If you are TRULY needing these channels and cheap, the $35 intro price with free Apple TV made it worth trying. However this was not a quality product for me. Glad to hear others have had luck. This is all good, but how do you get your internet service. The only reason I went with Verizon from antena tv was to get internet. Any suggestions? It’s quite simple – unbundle your services. If you’re bundled they like to convince you that you need to have one to get the other. It’s simply not true. Thanks for the writeup! I’m currently OTA + Roku w/Sling. For $20, Sling carries a lot of channels that my family enjoys. For $20/month, I can usually put up with the quirks of Sling. I’ve tried PSVue and consider that the gold standard of these types of services. The base package offers more sports, science, and kids programming, a cloud based DVR (which holds shows for about a month), 5 simultaneous viewers, and sign-in for channels like History. For us, those are such positives, that I’m really tempted by a 75% price increase over Sling. But I’m not quite ready to pull that trigger. Enter DirectTV Now at a similar price point to PSVue. However, it sounds like they do not one-up PSVue. They probably are winning the number of channels race, but I still prefer quality over quantity. (There’s a bundle of Sling channels I’d trade for one or two more quality channels.) Regardless, I’m hopeful that the competition in this space can spur things along and am interested to see what comes down the pipe from all three of these services. Thanks for your thoughts on Sling TV vs DirecTV Now vs Playstation Vue. I’ve not tried Playstation Vue, but have heard good things and think, on the surface it’s likely a little better than DirecTV Now. Completely agreed, I’m hopeful the rising competition will bring about more good things for us as consumers. I have been longing to cut the cord for some time. When I saw the ad for Directvnow for $35 per month and heard I could be grandfathered in, I went for it. I took my $210/month triple play and downgraded to just internet. Ported number to magic jack ($3 month), Directvnow ($35 – first payment, tax included in price), and $60 for internet. I am saving $100 plus per month. The bad is that Directvnow has been glitchy but has improved in the last week. If grandfathered in at $35, I think it has great potential. Also use OTA for some local channels but it is very limited on Long Island. May I just have the wrong antenna. Thank you for the information here, it is appreciated. Nice work on the savings Tom! Agreed, I think it has potential though it sounds like they have some kinks to work out – not to mention adding some other features. I am strongly considering divorcing cable as I just don’t watch tv that much. My 1 yr special bundle price is about to expire. My problem is I work nights so what I do watch, I dvr. I read a review last night about PlayOn software that will record your tv to your hard drive for a lifetime subscription of $40. I’m thinking I would need an external hard drive as my laptop is older. Again that would be a 1x expense. I already own an OTA antenna but can’t remember how good my reception was. That will be Monday’s investigation. Already have 2 smartv w/ WiFi and a fire tv stick so those expenses are already made. Just wondering now what kind of internet service I will need to continue so I can watch tv w/ minimal buffering and such. I’m not fully computer savvy so I’m not sure if I worded that right. I’m going through a divorce and am trying to trim the budget while maintaining some entertainment. Computer use for FB, email, internet banking and Amazon or eBay shopping are about all I do. I have Amazon Prime for the free shipping and unbelievably Netflix is one of the court ordered items I am pay for my ex. Any info is greatly appreciated as I am figuring this out by reading informative articles like this. I’ve not worked with or used PlayOn, but I’d agree that you’d likely need an external hard drive. Not certain of the exact speed you will need to avoid buffering, but the faster the better. I will say that our ISP was able to help us with that so you may just want to ask. Thx for the reply. Someone to reinforce my assumptions is helpful. Plugged in the OTA, which is the Moho Leaf 50. I get quite a few channels. Unfortunately, about 4 of them are QVC, about 4 other shopping networks, several Spanish stations, PBS, ABC pixilates often, ION, and one nonlocal news station. I live in Omaha and I’m looking at getting the Mohu Metro @ $19.95. Their website estimates that I will get 21 channels based off my address (near aksarben). Would you recommend the metro unit and is their estimate based on address usually correct? Austin, I live in West O & have had 2 Mohu Leafs for several years and haven’t had an issue at all – I’m thinking you should be fine. OTA worthless in NM even in Abq or up here in Santa Fe. D* sub over 20 yrs; but, cost vs cumbersome too big pkgs makes renewal every cple yrs problematical. Was ready for Comcast trial when I learned they’ve begun downscaling to 720p nationwide. Coupled w/notorious compression artifacts, that choice useless. Rdy to try D*Now; but, not till DVR capacity. I rely on AppleTV as often as possinle. Strong Comcast web connection makes 1080p solid. Same for the little 4K around. No real TV geek can live w/o time shifting…choosing to skip commercials. I’m hoping DirecTV Now will add the DVR capacity in the near future – hopefully without an extra cost. 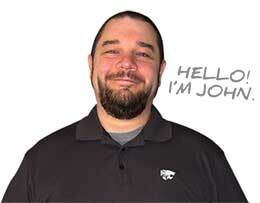 Thank you John! It was a tough one because of how it could impact the wife and kids. I’m with you in hopes that Directv Now will add DVR. I see Directv Now as an alternative to cable. With the introductory price of $35 flat, I get nearly all the channels I had with cable (over 100 channels) at the price of renting 3 cable boxes. This is actually the $60 Go Big plan and is a promo. I am investing in this in hopes that it will improve. For those waiting for it to improve, they could miss the opportunity to get in at $35 for the Go Big plan and get less channels for that price in the future. Just thought I would throw that in. I tried the free trial on both Sling and PS Vue and while I did not experience any streaming issues, the picture quality did not compare to Directv Now. If DTV Now gets their act together within the next couple of months, my gamble could pay off. Just my 2 cents! I truly appreciate this forum. You do bring up a point – only time will tell if that opportunity will go away though I assume it will. My apologies for rambling. I work with families in need and cable and cell phone bills eat their budget because they do what everyone else does! I just signed up for the $35 intro package and am curious to see how this performs. I’ve been using PS Vue since April and have loved it – aside from the occasional freezing issue (which I chalk up to the connection anyway) and laggy menus, it’s been fantastic. The cloud-based DVR is nice and even something as simple as a “last channel” option is awesome. Plus, living in Chicago, I get all the local affiliates AND can stream them via my FireStick (I noticed NBC was only available for streaming over PC or mobile on Directv Now). Overall, stream quality is nice, customer support has always done me well and it’s been very enjoyable by and large. However, the “Buts” are that PS Vue doesn’t carry the Viacom channels, so not being able to watch Comedy Central has become an increasing annoyance to me. And, HBO Now is not included and is an additional $15/month. I figure the $20 savings is enough to at least make the week-long trial worth my while, as I do think this service definitely has room to grow. The lack of DVR or inability to watch the NBC or CBS football games might be reason enough not to switch over, especially with the playoffs coming. I suppose that’s what antennas are made for. I’ve not personally used PS Vue, but sounds like you’ve had a good, overall, experience – in general. Agreed, I don’t think it’s necessarily enough to switch over for good but they do have a decent start. I just got done talking with DirecTV and everything you say is still the case until January 9. I also agree that I need the DVR. If DVR was an option I would jump on it. So I will be waiting with baited breath for that to come and then I switch. In the meantime, I lowered my Standard package to the lowest offering. They probably could get a few more bucks out of us if they would hurry up with the recording component. Well, yes, the promo pricing dies after 1/09 but everything else holds true. That said, completely agreed, if they were to offer a DVR option they’d get a lot more customers. I can imagine being in a more remote/wooded area would pose problems for getting service. I think streaming services like this will help with that, assuming there’s a decent ISP option in the area. Glad it has worked out well for you! Verizon mobile customers get all NFL games free on mobile devices and apple tv can ‘airplay’ from iPhones and iPads mirroring the games to tv. Are the base prices of $35 for DirectTV Now and $20 for Sling TV the total cost, or are there any taxes and fees added on? There’s a bit of taxes and fees on top of the cost. DirecTV Now is roughly $3-4 additional per month and believe Sling is just a bit below that. Sorry to hear about your frustrations with the platform Keith. We’ve actually had none of those issues & have had them with Sling TV. The cancelation process is pretty simple and straightforward in my opinion. Not according to all the complaints about it and also about the platform and the buffering all over there Facebook webpage. I have to agree with them. But PlayStation Vue is the best out of all of them. Still waiting for Hulu and YouTube live though. Trying Youtube TV. Seems to work well though channels are less. The Cloud DVR will keep your library for 9 months though compared to 28 days for Vue. More channels coming to Youtube TV next few weeks including AMC, BBC Sundance and few others at no increase in price. I like what I see coming out with Youtube TV but they’re unfortunately only rolling it out to a handful of cities to start with. Hopefully it becomes national in the near future. Keith – We will be another Direct TV Now former customer as it keeps kicking us out of the programmming after it finally loads, then continuously stops to reload. It really stinks. Had ATT Direct TV Now since the beginning. Found it should really be called Direct TV Eventually as it takes a long to load, then kicks you out of the ATT app on a regular basis. We will be cancelling our subscription this month and looking for something else more stable. ATT Direct TV now was frustrating and not worth the saving in money. Yea, it has been called DirecTV Now all along though I know there has been some crossover promotion between the two. That being said, sorry to hear about the hassle – I’ve not run into that, but it’s admittedly not a perfect platform. Direct TV Now locks up after 4 hours on 3 of my Apple TVs if you don’t change the channel. No other app does this. At first I thought it maybe the Apple TVs so I put it on my Amazon fire TV and it actually popped up with a message you have not changed it in 4 hours and then locked up! I think AT&T is dumping you to save bandwidth if it thinks your not there. So if your watching a long race, change the channel once in awhile! Don’t think you can go to bed and not wake up in the morning with it working either. It will be sitting on the last channel you were on FROZE. Interesting. I’ve not heard that being an issue but it certainly doesn’t surprise me. I have used all 3 major services. Sling IMHO is a waste of money for what you get for the price, unless they have the channels you want. PS Vue I liked, but was missing History channel. Directv Now has everything I want, and having gotten in at the $35 promotion it is great. My only issue is the DVR. I am trying PlayOn but so far in my testing I can’t get it to play any DirecTV Now channels. It also kills my work VPN from my laptop when working from home (only Playon trying to connect to DirecTV Now). If I can get it working then the combo of PlayOn with DirecTV now will be perfect. Yes, I need hardware, but the new microPC’s and small profile hard drives should make it a very small footprint (smaller than a traditional DVR/Tuner service. I would tend to agree with your assessment John. Sling is a waste of money in my opinion. I think once Youtube TV grows out of its infancy we may see more providers offer some sort of DVR capability – that’s my hope at least. I currently have sling and added dvr. I love it. I also have 2 local channels. I don’t think I could switch to DirecTV until they get DVR. Glad it’s working for you Amy! Agreed, DirecTV Now really needs to bring on DVR capabilities. I just cancelled DirecTv NOW today. It was impossible to watch any show without multiple freezes and once the freezing started, it would keep doing it until I restarted my Fire Stick. My 8 year old was watching the Disney Music Awards and it kept freezing. I had both DirecTV Now and Sling – so I added Disney to my Sling account and we watched the rest with no problem. I was going to cancel one of them anyway after trying them both out and this made my decision easy. The 100 channels for $35 is great – if you can watch them. I held out for a while because I didn’t want to lose the $35 deal (and because it works great on my phone), but I have come to the conclusion after several months that it will never get better. So now I have the Blue and Orange Sling packages with Kids and Comedy extras and the DVR. It’s more than the DirecTV NOW special deal but at least it works. If Sling was crap too I would probably just go back to regular TV. Sorry to hear about that Robert. We’ve had relatively good luck in our trials with DirecTV Now and more of a headache with Sling. None of them are perfect unfortunately. When I look at Amazon it says that the Tivo Roamio can only record TV picked up from an antenna. You suggest that is a replacement for the lack of a DVR option with DirecTV now. So, I just wanna be sure, can the Tivo Roamio record from Directv Now or not? You are correct Roger. It only works with antennas, per Amazon. I didn’t list it as an alternative to DirecTV Now, just that’s it’s one of the options to use if you want to cut the cord as many like to DVR shows on network channels. I’ve updated the post so it’s not confusing. I’m currently a directv customer who’s paying the 114 a month even though my wife and I don’t watch a lot of tv. I had directv only Bc my need for Sunday ticket. Well I’m now ready to give that up and reviewing cord cutting options. However, even though this is a ‘cord cutting’ article I wondered how you felt about the new spectrum bundles being offered? 109 after taxes gets me all the main channels and espn CNN etc, dvr, 100 mbps internet, and phone. I’m currently paying 54 for 20mbps internet. So when comparing to the cord cutting options. I feel i avoid the cost of additional hardware. Once you take away the internet portion I’m paying close to directv now while having dvr and not having to worry about streaming issues or local channel issues. And they buyout my directv plan. And they claim it’s no contract even though the prices are stated as ‘for 12months’. That’s a good question Carl. I’ve not heard much about spectrum plans so I’m not confident enough to give a good answer to those. That being said, I’d be tempted to look at something like you’re describing assuming it truly does get me out of a contract and only gives me the things I really need. You’ve likely already thought of this, but you also want to look at what the cost goes to after the 12 months. It could easily turn into a situation where you save in the short-term, but they charge you considerably more in the long-term. Looking for any help I can get, my father recently passed away and I have taken over my mothers finances and trying to cut some of her monthly costs she has At&t for cable and internet for right at 190.00/month. I just purchased a fire stick Ive never used one but I was thinking if I got it and could get it set up I could cut a lot of cost. I need some help though so I would obviously need to keep her wifi internet on through them but wondering what the best choice for her is she doesn’t really watch much tv maybe local news and a little lifetime. I was thinking I could just get her net flixs on it and be good? she doesn’t need to be able to record shows cause she has that option now and does not use it. Only other thing is we don’t watch any sports except football so what are good options for that? And one more thing is there an antenna I can get to just get her a few local channels, does that mean I have to change the TV from HDMI to regular tv? HELP ME!! I’m looking for any suggestions i am not good with this tech savy stuff so up for any ideas?? Looking to cut Comcast cable cord along with their internet as well. Our total cable bill monthly is running close to $200. Have been researching the Direct TV Now option with ISO using AT&T hot spot box which uses their 4G/LTE platform. They claim that if I use their Direct TV Now while using their Hot Spot box it will be an unlimited data use. I will be running Direct TV Now on 4th gen Apple TV. They also claim I can sign up with a $25 credit to either of the Direct TV pkgs I choose. We camp a lot and they say we can take the system with us to use as long as we get a 4G/LTE signal. I’m kinda scared to cut the cord. What do you think? I think it’s worth a try Victoria. I’ve admittedly not used that feature from them, so don’t know how it’d work. That being said, you could get pretty significant savings by making the switch. I know it can be scary, but it’s relatively simple to cut the cord and you’ll love the savings. Sorry, but PS Vue for the win. The fact that you can stream four at a time and it’s feature set is on par or better than the competition is compelling. The only thing and I mean only thing that it needs is a better guide on Roku. Otherwise, it’s perfect. To each their own Brandon. I’ve not tried PS Vue myself so can’t speak to it much. I’m just glad there are multiple services to choose from. Yep, that is interesting Scott. We really didn’t have any issues with it in terms of buffering. We had it early on, so maybe issues have arisen with more subscribers? PS Vue is the one major platform we’ve not tried but have heard decent things about it. I am a 70 yr single woman on social security. My comcast was $130/mo. I had to do something. Tried Fire Stick. I continued to shut off and even froze the screen. After a while went to Roku Stick (great!). Subscribed to Sling and DirectvNow. Directvnow has some minor buffering but not like Sling. Wish there was a DVR with DTV but maybe later. Worse problem I have is the 4 hr. power pause. I hate that, especially if you are in the middle of a program or movie. Soooo annoying. I have checked my settings. I am sure it is DTV but no setting to shut that off. I might mention that the Fire Stick got super hot to touch. The Roku does too but not as hot. At first I had some added items that I thought were free. Fixed that right away so will only have wifi at $29.99/mo plus $35 for DTV/mo. Better than $130. 🙂 (also picture is really nice and clear). I don’t see any mention to increased internet costs when using streaming tv. Many ISP’s s have a data limit each month unless you pay more. I didn’t mention it John because it can vary widely based on your provider, amount of devices and so forth. It’s also not something we’ve come close to encountering, thankfully. I cut the cord on Direct TV this morning to go to Firestick however, all of the apps ESPN, History I no longer have access to. When I put them on my Firestick I had to include my cable provider and at the time it was Direct. Since direct TV is gone I lost access to those channels. How do I get those back without a cable provider to input? Glad to hear you cut the cord on DirecTV David, you’ll love the savings! You can try using the login info for your Internet provider as that works at times, but it’s entirely dependent on the chosen app and your provider. I tried that and got locked out…..any other suggestions? I’m currently paying 105 for cable and Netflix. I tried sling but very buggy but that was a year ago and hopefully better, dtvn had the channels I wanted at 49 a month with HBO and netflex and over the air channels so good deal for me. slight learning curve but not bad. I had spectrum internet and it was worse even though the speed was higher now I have google fiber $300 for 7 year deal awesome value, its only 5 mbps but so much more reliable than what spectrum was at 25 mbps. I can game up stairs online and family can watch tv downstairs and no issues. so I think internet provider is more important than speed. google is fiber all the way but only in certain markets DTVN is suppose to have dvr by end of 2017 but sure it will cost, so $50 a month savings for me is worth it. at one time I was 190 so massive savings over that stupidity on my part. Sorry to hear that David. I don’t live in NYC and haven’t experienced those issues when I’ve had their service, but I can certainly understand how frustrating that’d be. Good overview–however, I think it is hard to compare DTV $35 pkg with Sling when you get Discovery AND History AND Nat Geo AND A&E with DTV and you cannot get all of these together with any other streaming service. You have to have two of the other services to get that bundled together. Also–both Hulu and Sling DO have some of the shows available to view-HOWEVER–AND THIS IS BIG–very few shows have the CURRENT season’s episodes nor do they have available all of the episodes from the current season or all of the episodes from a past season—it’s all so much HIT & MISS with both Hulu and Sling and it’s disappointing—and confusing to keep it all straight! That is the big difference that needs to be pointed out between these services. If someone signs up for Sling thinking they are going to get current seasons episodes or all episodes or seasons of something on History Channel that they like, that is not the case. I’ve had Sling for @ 5 months now and am becoming less and less satisfied by what they are offering–the “on demand” shows are always the same–tons & tons of Junk Yard Wars and “Pickers” and Ice-Road Truckers and not a whole lot of anything else. Come on Sling and HULU–there is so much more content we should be getting from the History Channel and every other channel you offer! I’m going to stop my Sling and Hulu sub and try out DirecTV for $35 for awhile and hope they come up with a DVR soon. I also have a OTA anteanna and a cheap View TV recorder box for local OTA channels. I am saving a ton of money over my old cable service—I also think you are on the low side with the $100 average cable package price—most of the people I know especially if they have kids are paying upwards of the $200/mo range for multiple TVs with multiple boxes in the house. I think you might be confused. When you use a service like Sling or DirecTV Now you can watch new shows on given networks live. On demand stuff does vary, and might be different, from provider to provider, but live shows you should have no problem. That said, glad you’re enjoying the savings! We love our $80+ per month in savings. We’ve been using Playstation Vue for several months now and have not looked back. Switching from traditional cable was a bit of an adjustment, but the trial period helped with that. We do have some gaps as far as things we are either missing or must access via other apps, but not really anything that we are missing. Overall, it has been worth the savings and I certainly don’t miss channel surfing past all of the ridiculous ad channels in my previous cable package. We have 3 of the major networks live (Atlanta) and we’re only missing NBC. I did reach out to the local affiliate to ask when that will be available live on the Vue app as a sort of push. I am also an Amazon Prime member (which I don’t see as an added expense because I already had it for cloud storage and free shipping). They started airing Thursday night NFL games through the Amazon app back in September, so NFL Network is no longer needed. The only thing I am missing is Sunday Night Football (no NBC yet) but we are able to watch that OTA with an antenna. I love the cloud DVR service, but it does have its downsides as well. When you add a show to your DVR, you are going to get ALL of the content related to that show. You can’t delete individual episodes. They just fall off as they get past the 28 day period that they are kept. 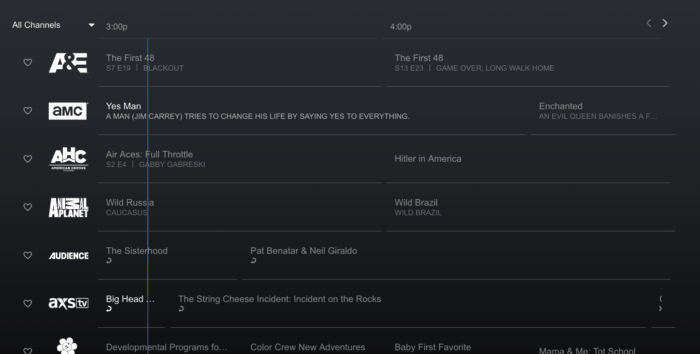 You will also have OnDemand content mixed with DVR, but they are labeled with different colors (DVR is Blue and OnDemand is Yellow). There is, however, a progress bar at the bottom of each episode and it will say either “Watched” or “Unwatched” based on where the progress bar is. If you record NFL games, you are literally going to get ALL of the games that are available to you depending upon your local available channels. Redzone is available as part of a Sports Add-On now as well. We use the Vue app on a PS4, PS3, Fire TV and Fire Stick. The Fire Stick and PS3 are certainly more laggy than the Fire TV and PS4, but I would say the PS4 runs it best, since it is a Sony platform, with the Fire TV being close behind in performance. I think the channel line-up is a little more robust for DirectTV Now, but Cloud DVR and more devices pulls me back to Vue. I looked at the DirectTV Now local channel lineup. I would lose CBS with them, but gain NBC. I prefer to keep CBS over NBC and I’m certain they will all be Live in my area in due time. The channel lineup is a good deal for the money, but what good is that if you can’t watch it? The streaming performance is SO FREAKIN AWFUL that it is UNWATCHABLE. Avoid it like the plague. I have been a subscriber for 9+ months now, and I keep waiting for improvements, but if anything it has gotten WORSE. Doesn’t matter what you watch, in prime-time evening hours your TV will be stuck buffering every 2-3 minutes for 1 minute or more. 7 nights a week. Except of course, during commercials. Lest you think the problem might lie with my HW or local network, I’m here to tell you that I am a professional web developer and have eliminated those factors. Don’t believe me? I suppose my analaysis could be flawed, except for one thing – all I have to do is switch to Netflix and no networking issues. Every time. EVERY time. Strange, eh? I used to be an ATT cell phone customer, and switched for the same reason – dropped calls, poor sound quality, no matter the city. Don’t know WHAT made me think they’d be any better at streaming video. Top to bottom, ATT is incompetent at everything they do if you ask me. I’m actively looking for alternatives to DirectTV Now. Don’t waste your money. Sorry to hear about your problems with DirecTV Now William. No streaming service is perfect, unfortunately. I did have my problems with DirecTV Now, but the streaming ability was not one of them. My question though is why would you stick with something for over 9 months if it didn’t work? In my opinion, you need to cut your losses at a certain point and move on to another option. That being said, hope you’re able to find a quality replacement in the near future. Your review is good from a 20 foot view. I found problems at the 1 foot level. There is nothing wrong with my WIFI. I want to state that up front because it would be easy to say that my problems were being caused by my provider. I signed up for the free 7 day trial on Wednesday and by Friday I had to cancel it. I got kicked out of the Roku app once, I would get pop-ups in the middle of a movie or sporting event asking if I was still watching. Some time the GUIDE wouldn’t come up and time out. Other times I would see the circle indicating some sort of buffering was occurring. It would only appear for a couple of seconds and then disappear. This is annoying and I would say that the service is “not ready for prime time”. I’m still waiting for a service that allows TOTAL ala carte selection of the channels I want to subscribe to as there is still a lot of chaff in the packages that are being offered. Sorry to hear about your challenges with the platform Jack. While I did have my problems with DTV Now, streaming was not one of them. Just out of curiosity, I’m wondering what your internet speed is and if that could be an issue. I would agree, I’d love to see something al a carte but I’m not very hopeful. I’m surprised to still hear of people having streaming problems with DTVN. I’ve had it since last December and the live streaming is nearly flawless for me (20Mbs cable internet). Certainly the first few months were not good but that was resolved. I do still have occasional issues with on demand viewing both with occasional hiccups and just limited choices. I have two friends with DTVN and there experience has mirrored mine. DTVN now is supposed to be in beta testing of an entirely new improved platform for 1st qtr 2018 that will include DVR functionality and 4K offerings. I suspect there will be an extra charge but that has not been announced yet. Overall I’ve been satisfied especially with keeping the original promo deal of over 100 channels for $35. It’s by far the best value out there for a near complete cable alternative. An antenna and TiVo provide all my local networks although DTVN is adding many local networks across the county. I have a fire stick but I want to get hgtv, travel and history channel. Will direct tv now provide those? Yep, you should be able to get all those channels on DirecTV Now. I would love to cut the cord but my husband has to be able to watch every MLB game available. We currently directv satellite just so we can get this yearly subscription. Is MLBextra innings available anywhere else ?? I don’t know of MLBExtra Innings being available on any streaming platform. That said, you might want to check out Sling TV or DirecTV Now as they both offer ESPN3, plus other sports channels that might be able to replace a lot of that. You might also want to check out MLB.tv as well. It doesn’t require a cable subscription and know it’s a popular replacement. How many users can log into DirectTV now? My mother lives with my husband and I and our daughter is at college so looking for alternatives for her as well. My husband has a 4K smart TV and my daughter and I both have a Roku. Has a lot of their bugs been worked out? Good question Rebecca. DirecTV Now allows you to stream on two devices at the same time. Sling TV might be another option as they allow for three in their higher tiers. We’ve personally not had many issues with DirecTV Now, at least relative to Sling TV. No platform is perfect, of course, but for us DirecTV Now was the superior platform on multiple occasions. DirecTV Now is OK, but not without it’s troubles. I have had no issues with streaming cutting out, but I have had a few other issues. They upgrade the On Demand program every weekend, so it’s not actually available the day after it aired. I have also found a number of shows that have never been uploaded & reported it the technical team. However, you can access any TV site, such as MTV, NBC, or ABC with your DirecTV credentials. Overall, I think it’s worth the $10 I’m paying for now. I am new in using the Amazon Fire stick. Prior to getting the Firestick I have a smart tv which has a lot of these apps on them and I signed up with Netfilx prior to getting the Firestick. Do I need to maintain my Netflix acct paying 11.99 per month Does the Firestick have free apps that I don’t have to pay for or are all the apps on the Firestick have a monthly fee. Good question Vanessa. Yes, if it requires a subscription then the Fire Stick will not get you around it. Not all the apps have a charge, but it can vary based on the app and if your ISP allows you to login to it for free. I have DTVN and, other than a few buffering issues, I really like it. $37.00 a month for 75 channels and that does include all local channels, I believe I’ll keep it. Glad to hear it Barry! It’s not perfect, but neither is any of the other streaming services. Enjoy those savings! did have to upgrade my router to relieve buffering on Plex. Also, Plex and HDHomerun offer DVR capabilities for recording OTA channels at a nominal price. The HDHomerun can also be connected to a router so the OTA signal can be broadcast over the LAN. The HDHomerun app is available on fire tv. I have tried it and it works for watching live tv, but I don’t watch much live tv (except for football! ), so haven’t used it much. I feel the main drawback to DTVN is the lack of any DVR capability for recording cable channels and lack of up to date on demand programs. Channel apps are usually up to date, but there are quite a few channel apps that won’t accept DTVN credentials. For the big difference in price, I can learn to adapt. I hear what you’re saying Liz and, admittedly, don’t have a ton of experience with standalone DVRs so I’m looking at ones that don’t have monthly fees as many are overwhelmed with anything technical in nature. That said, sounds like you have something that works for you – which is great. Agreed on the DVR capability with DirecTV Now. I see them adding it in the near future, but the sooner they do the better. Good work on canceling DirecTV, you’ll love the savings! My ex-wife’s internet/cable service renews in 2weeks. Watches a lot of TV because she’s disabled and can’t afford $175 month anymore. I’m computer / network engineer and cut cable 3yrs ago. My service is high speed internet and old TV using ematic converter for 5ft bi-directional HDTV that I built and mounted in attic. (Receives 80channels). All this week, will be installing and testing DirecTV Now using Roku on both mine and her network with broadcast TV. Checking for any /all problems and what solution is. Will let you know what happens. I’m a computer / network engineer and plan on getting very deep in this. Good to hear it and best wishes on it Jim. I can certainly understand $175 being far too expensive. As you know, there are a lot of options out there and it’s a growing space so I’m sure you’ll be able to find a good option. I’ve had Sling for a few years since they were new. They never stepped up to the plate and got SNY as many of the other major live TV streamers currently have including YouTube, Hulu, DirecTVNow, Sony Vue and Fubo. I could not watch the Mets. Sling also doesnt have CBS, Science Channel, MSNBC, MLB or Discovery with $40 package. I took a chance on a DirecTVNow’s 3 month special and I’ve only had it a week but I’m so pleased with the $50 channel lineup that I already cancelled Sling. It does buffer once in awhile but for the last 3 weeks so was Sling. Buffering is a combination of your your internet speed and the power of what the service is putting out. It could be that these new live TV streaming services are getting busier and busier and they’re all going to have to step up to the plate to keep up with demand. Optimum had gotten up to $175 a month and that’s ridiculous. They keep having specials but once you add in the cost of the boxes for each TV you’re back up again I’m in cost . With my internet service and the $50 plan I’m under $100. In going into to the chat area of customer service of DirecTVNow they are working on supplying their packages with up to three streams simultaneously and free DVR. They’re both in testing stages. I can wait. I did not read every single comment, so this may have been mentioned, but I feel that you need to update this review (e g., have an update section). I recently subscribed to DirecTV Now, and the base $35 package (which through a special I am getting for much less for the first three months) now includes all of my local networks live through my local affiliates and a cloud based DVR service. Combined with $5 HBO, which I was paying $15/month for, I think this cable cutting option now has a tremendous amount of value and knocks much of the competition out of the water. I just think it’d be beneficial to update the review to reflect this, as the current review cites a lack of these features. Thanks for the comment Adam. I do see that DirecTV NOW has a DVR feature so that has been added. Looks like you’re lucky in getting local channels with them though. Per their site it’s dependent on billing zip code, along with a few other things including arrangements with affiliates. So, for many, they can still be out in the cold. However, that’s also the case with other providers so it certainly doesn’t knock them out in my opinion. They do certainly offer a good bit of value, but there are others out there that are worth a serious look. The directv website has a problem with a claim it makes. It says the $50 just right plan includes everything from the $35 live a little plan but it does not. I found at least one channel that is not included. It makes me leery of switching to directv now. I can understand that Tiff. However, I would chat with them prior before assuming that’s the case. It could be a simple oversight as it’s been known to happen. This is about the worst product/service I have ever used. Sorry to hear about your frustration Steve. I don’t know that I’d call it quite THAT bad, but it’s not perfect by any means – especially the customer service. I’d prefer Hulu or Sling for my money. WAY WAY WAY too many commercials watching on-demand. They gotta fix this or (like Hulu) charge more for no commercials. Totally get that point Gary. I don’t personally care much about the commercials, but know many others do.